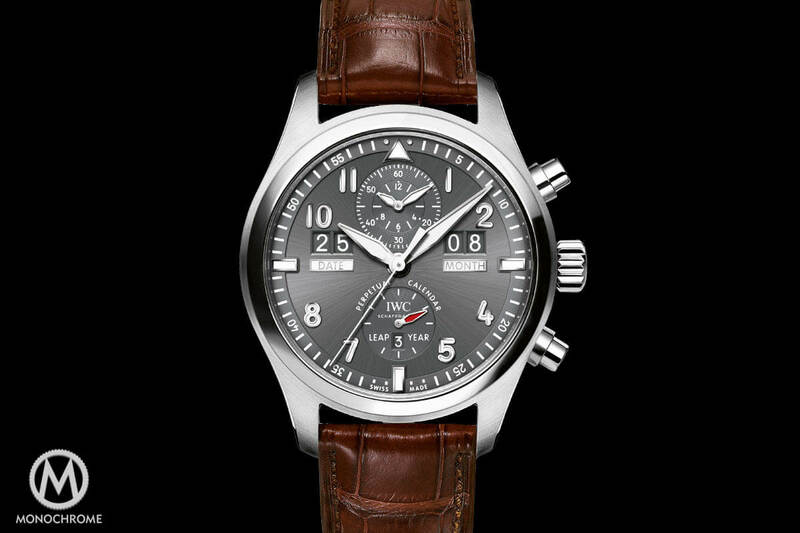 This year is all about the pilot watch for IWC. As usual, there is a mix of standard, non-limited models as well as a couple of over the top limited editions. Like this Big Pilot’s Watch Constant-Force Tourbillon Edition “Le Petit Prince”. The watch we’re looking at today falls into this latter category, although it perhaps not quite as unorthodox. 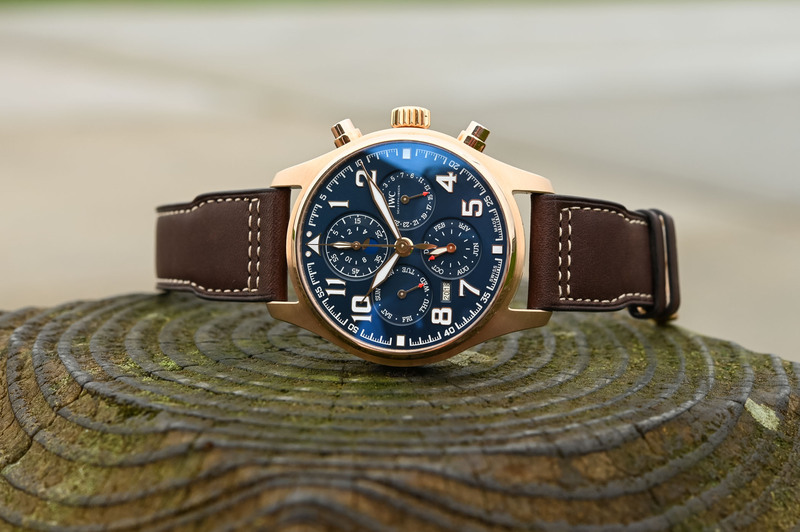 This is the Pilot’s Watch Perpetual Calendar Chronograph Edition “Le Petit Prince”. 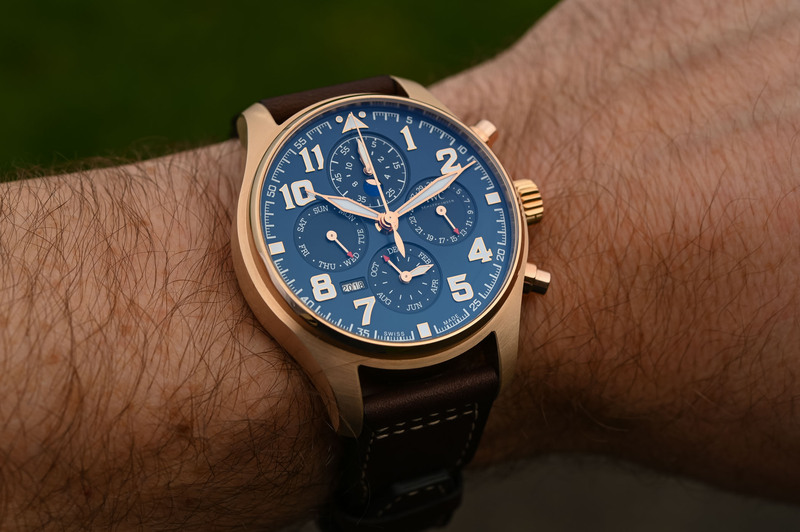 This new watch is, of course, not the first time that IWC has combined a perpetual calendar with a chronograph in one of its pilot’s watches. This has already existed in the past, yet often with a Valjoux-based movement and Kurt Klaus’ module on top (of course). Here, the base movement is now manufactured in-house – which, again, isn’t a novelty per se, however the QP/Chrono combo with in-house movement was, until now, reserved to the digital calendar complication. Here, we have the in-house 89xxx base with a “normal” looking QP, a first for the Pilot’s collection. Presented in a 43mm 18ct red gold case measuring 15.9mm thick, it has all the “Le Petit Prince” hallmarks. 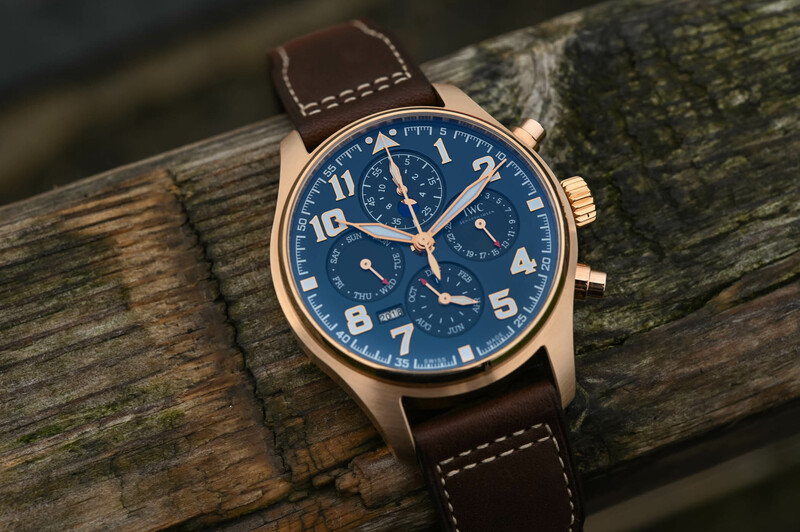 These include a striking sunburst blue dial, gold-plated propeller-shaped hands with elongated tips and stylized applied Arabic numerals and a brown calf leather strap. 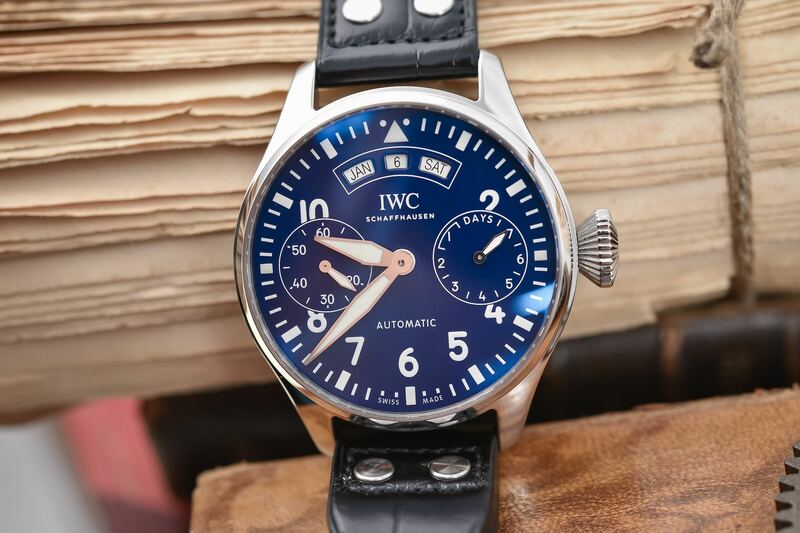 The dial is understandably busy but in typical IWC-style is still quite legible. 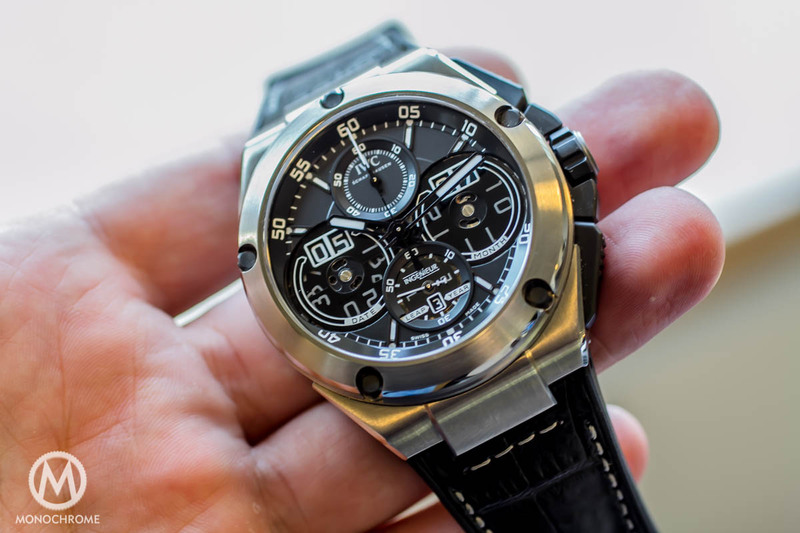 Hours and minutes are displayed centrally, along with the chronograph hand. Running seconds are integrated into the month display on the sub-dial at six o’clock. The date and day of the week are shown on sub-dials at 3 and 9 o’clock respectively, while the final sub-dial at 12 o’clock houses the combined hour and minute totaliser for the chronograph, as well as the perpetual moon phase. The year is shown through a small aperture between 7 and 8 o’clock. 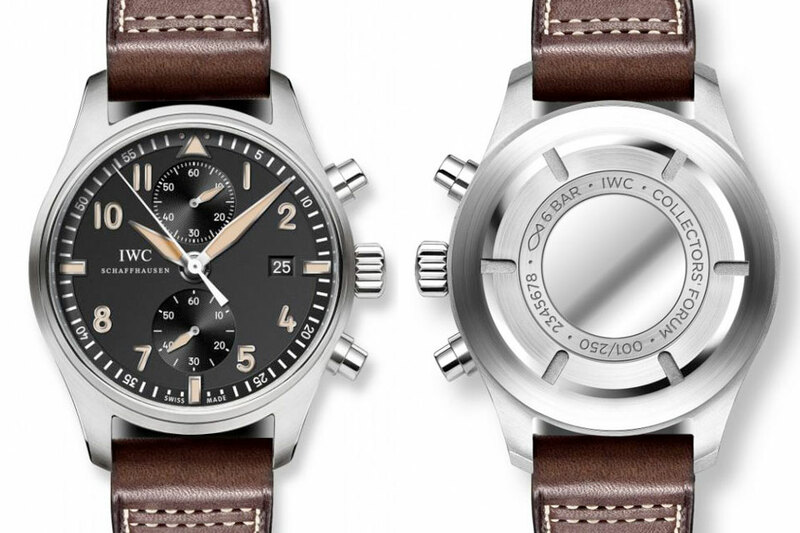 To be fair it’s nothing we haven’t seen before from IWC (aside from the fact that this is the first time this combination has been made available in one of their pilot’s watches). 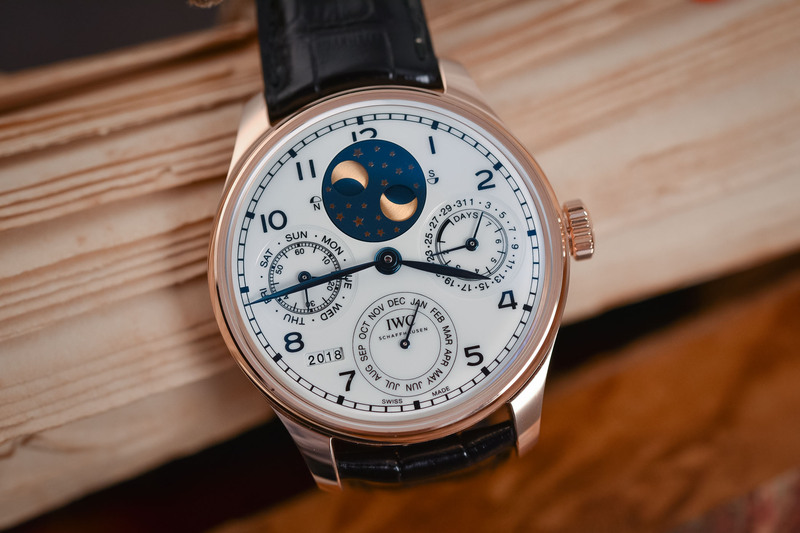 The company has been manufacturing incredible perpetual calendar watches since IWC legend Kurt Klaus developed the complex mechanism in the 1980’s. Constructed from just 80 or so parts, it will work until 2100 without needing to be adjusted. The displays for date, day, month, moon phase and year are all synchronised and can be adjusted via the crown if the watch is not worn for a prolonged period. Inside is the in-house manufactured calibre 89630. This is the same movement IWC used for the Da Vinci Perpetual Calendar Chronograph. It offers a column-wheel, vertical clutch, flyback, automatic chronograph with 68 Hours of power reserve and a modern 4Hz frequency. Klaus’ perpetual calendar module is attached on top. It’s visible through a sapphire caseback and is equipped with an 18-carat gold oscillating weight. 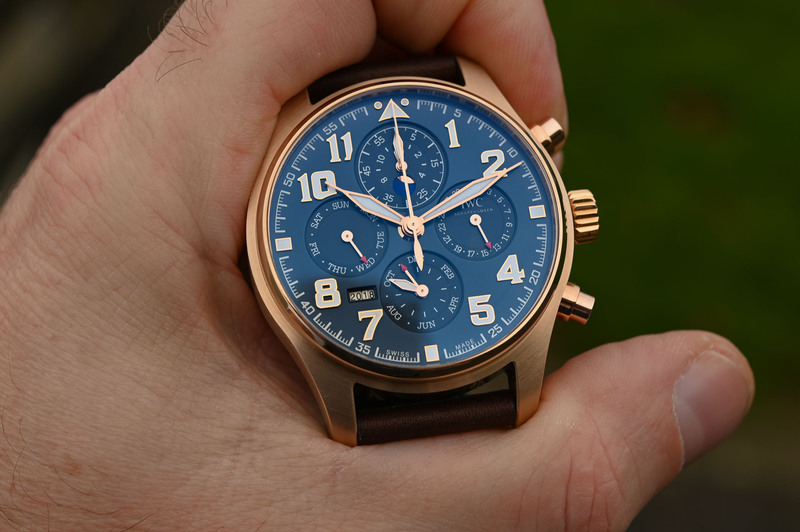 The IWC Pilot’s Watch Perpetual Calendar Chronograph Edition “Le Petit Prince” (Ref. IW392202) will be offered as a limited edition of 250 pieces. Price will be EUR 41,700. 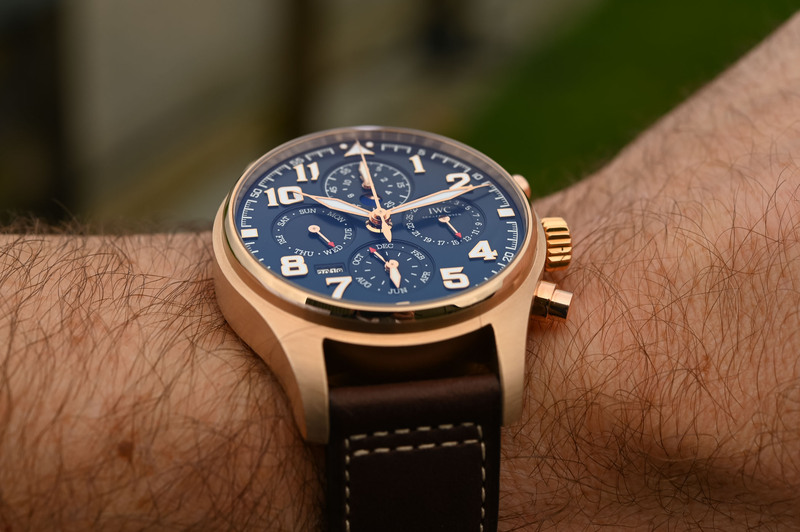 More details at www.iwc.com. Case: 43 mm x 15.9mm - 18 carat red gold - crystal on both sides - water resistant to 6 bar. 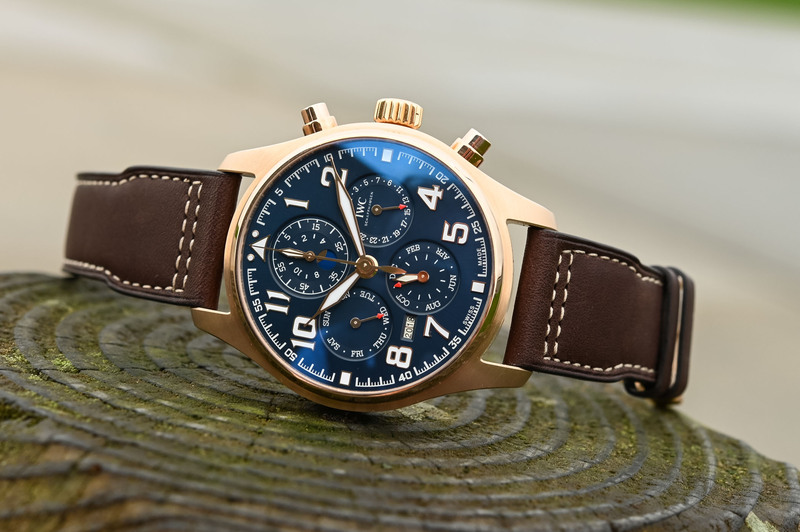 Movement: Calibre 89630, in-house – Automatic – 4Hz frequency – 51 jewels – 68H power reserve – Flyback chronograph with perpetual calendar (date, day, month, year and moon indications). Strap: Brown calf leather strap.